Mischief and hijinks lie in wait around every corner of Norrath! Bristlebane Day is the highest of silly days, a holiday that honors the Grand Prankster Fizzlethorpe Bristlebane who puts having fun first (especially when it comes at the expense of anyone or everyone else) - and you're invited to join in on the fun! From now until April 11, 2019 at 11:59 PM PT, you can visit Enchanted Lands take part in a dizzying display of tricks, pranks, and laughter! This year, we've also included a slew of new features for you to enjoy! Pot of Luck - Help a troll named Zruk join in on the Bristlebane fun by helping her gather the lucky items that she has been looking for! She'll be more than happy to reward you for your help. The Bristlebane Mechant has 9 new items available for you to purchase, including the Gryphon of a Different Color mount and Squeaky Cockatrice! A new tradeskill recipe book "Perfectly Serious Items to Craft X" is now available from the Bristlebane Day merchant. If you're playing on Fallen Gate, you'll be able to take part in all of the Bristlebane mischief! On Kaladim, Bristlebane Day will not be available. 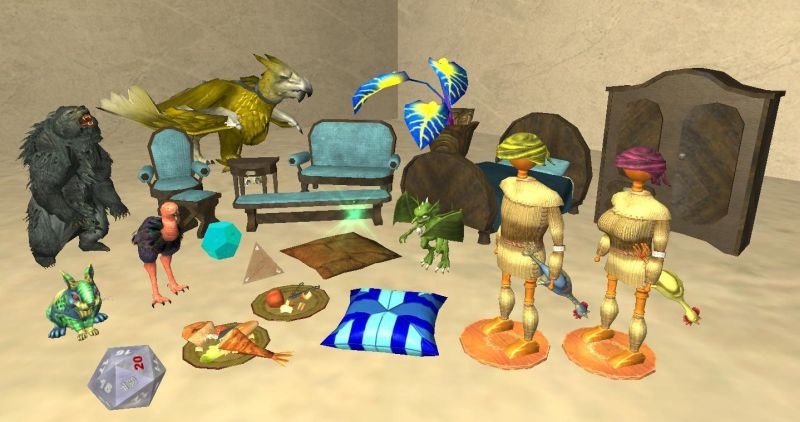 If you're a part of the more cautious crew when it comes to Bristlebane Day and all of its tricks, then you can read more about the holiday on EQ2i. And remember, be on the look out for some very special events that will occur only on April 1st! To find these, you may want to pay a visit to Enchanted Lands.